FoolProof's "modular" programs aren't websites. The modular programs are highly interactive web-driven financial literacy tools. They feature music—videos—dozens of young people, and—most importantly—the truth about the extraordinary importance of understanding money. Whether your students are in high school, in college, or already working, we have a FoolProof program specifically designed to fit their needs. What are the differences in the FoolProof programs? Have a closer look at the different programs below. FoolProof for High Schools is designed for classroom use in the 9th-12th grades. This is a demo account. We will assign you your own account when you sign up for the program. Please do not sign up your whole class on the demo account. Sign in as a "teacher," then sign up a small test group. You can monitor one student's progress, or monitor the entire classroom's progress at once. FoolProof's software even grades the tests for you, and gives you results in two formats. This is a demo account only. Please do not change login details! FoolProof Solo is a complete financial education program for college-age people and young adults. If your students are in their twenties, "FoolProof for High Schools" might not be old enough for your students. A better choice would be "FoolProof Solo." 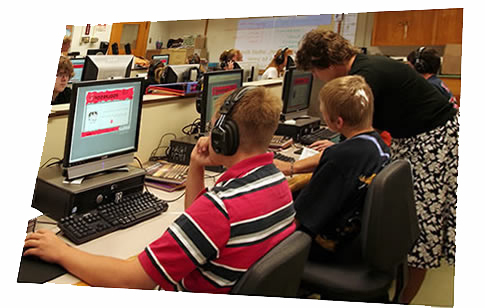 Solo software also lets you monitor your students' progress and test results from any computer. Please be sure to let us know what you think!